Home > CDs > CD: That Ska Beat! Ska Never Stopped You Know! UK Import CD - Jewel Case with 8-page booklet. The music of Jamaica has had a profound and lasting influence all around the world and reggae is the name by which it has become universally known. 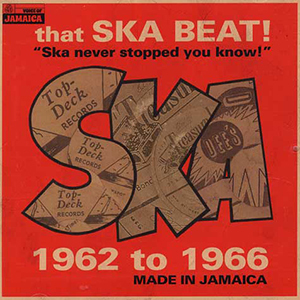 Although the term ska is often used to describe all Jamaican music before dub, deejays and dread in the mid seventies the real Jamaican ska was made in Kingston between 1961/1962 and 1966.